OEE (Operating Equipment Efficiency, Overall Equipment Efficiency, or Overall Equipment Effectiveness) is an industry standard indicator used to measure the performance of manufacturing equipment. With this value you can monitor the performance of your assets without having to adjust for a variable product set. Production information such as units per hour, good versus scrap and availability versus running will quickly highlight missed production opportunities. This information will help you target under performing production areas. 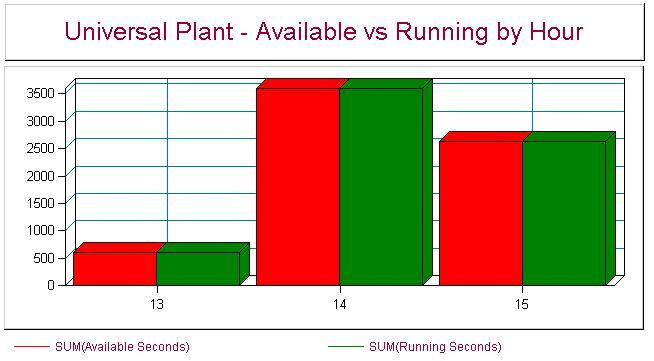 A chart of available time versus running time can quickly highlight if your line or plant is running as efficently as it should be. Information on the number of parts being produced per hour against how many should be produced will emphesize area of missed opportunity. Focusing on these areas will help you to fine tune your production. 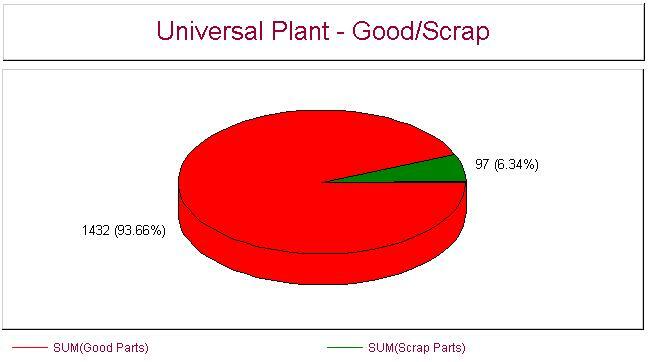 A view of your level of scrap in particular areas can help you focus on your efforts for quality in that area. 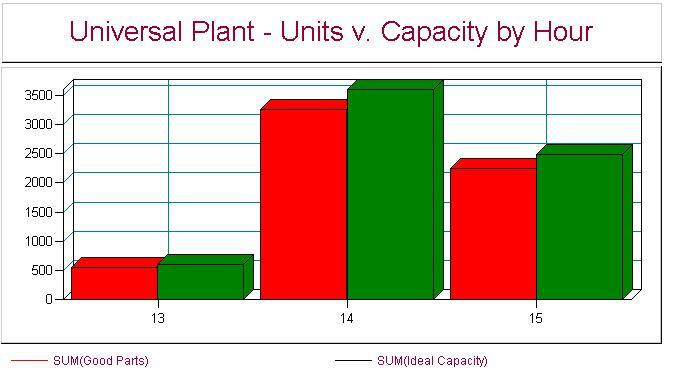 Reduced scrap levels will result in more product out the door allowing you to maximise your production capacity. An MES can provide you with vital information for minimizing your production downtime. 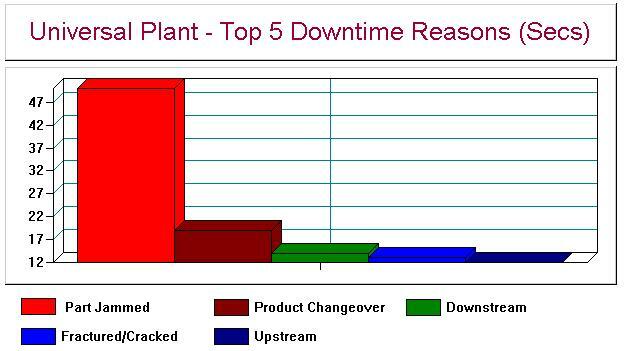 This information can be visualized to help you pinpoint your major downtime areas. Automatic data collection ensures that every stoppage is tracked no matter how small. Creating a Pareto of your major downtime means you can focus your efforts to get the highest return.